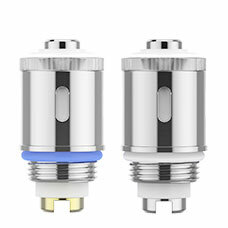 The net-shaped LED battery cap is a creative design that inspired by stereo which shows the noble feature. 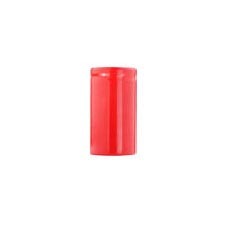 The delicate battery is removable and chargeable 3.7V 700mAh 18350 lithium battery. 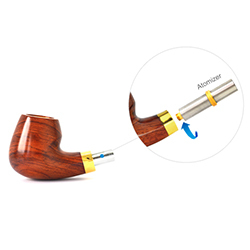 When the battery is set inversely, pipe will stop work to protect the circuit from damage. 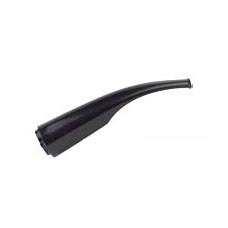 With the streamline mouthpiece, which can better fit for human body, you will feel more comfortable while vaporing. 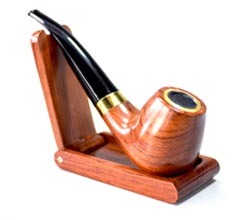 It is made of bubinga, just the same as the pipe body. 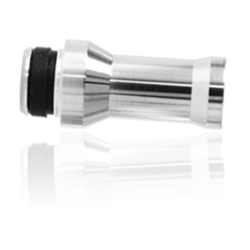 It has special slots on it, which can perfectly match the body so that to fasten it. Moreover, it can be folded up for easy storage. 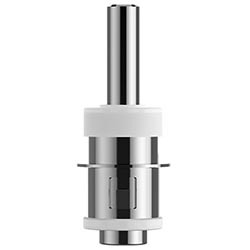 The cartridge is designed with larger capacity, which can be filled more e-liquid. 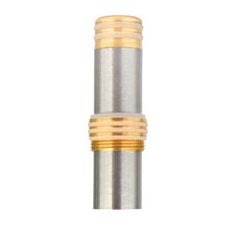 You can use it longer without frequently replacing the cartridge. 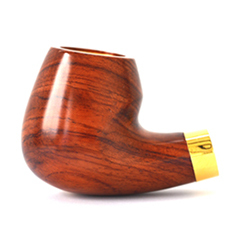 The Pipe body is made of bubinga, a kind of high-quality timber, which is not easy to crack and has good corrosion resistance.